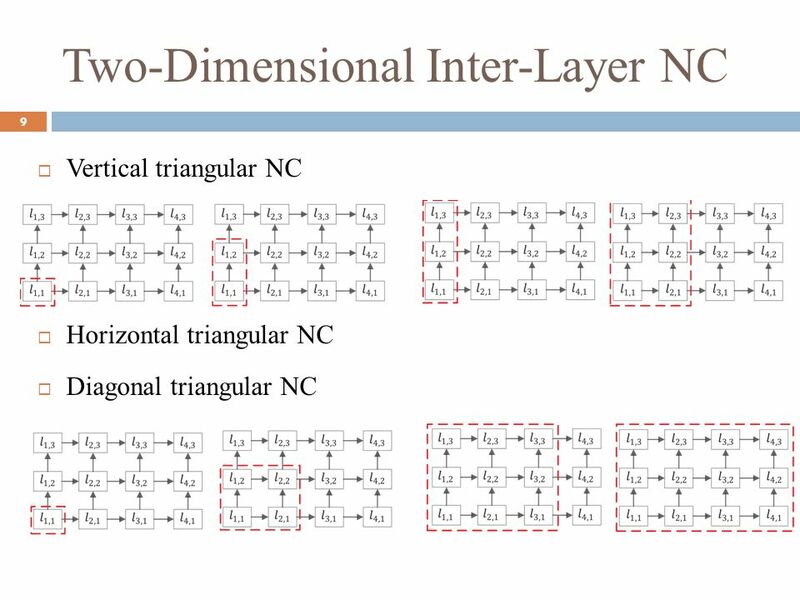 Download ppt "Pouya Ostovari and Jie Wu Computer and Information Sciences"
Jung-Hwan Low Redundancy Layered Multiple Description Scalable Coding Using The Subband Extension Of H.264/AVC Department of Electrical. A Graduate Course on Multimedia Technology 3. 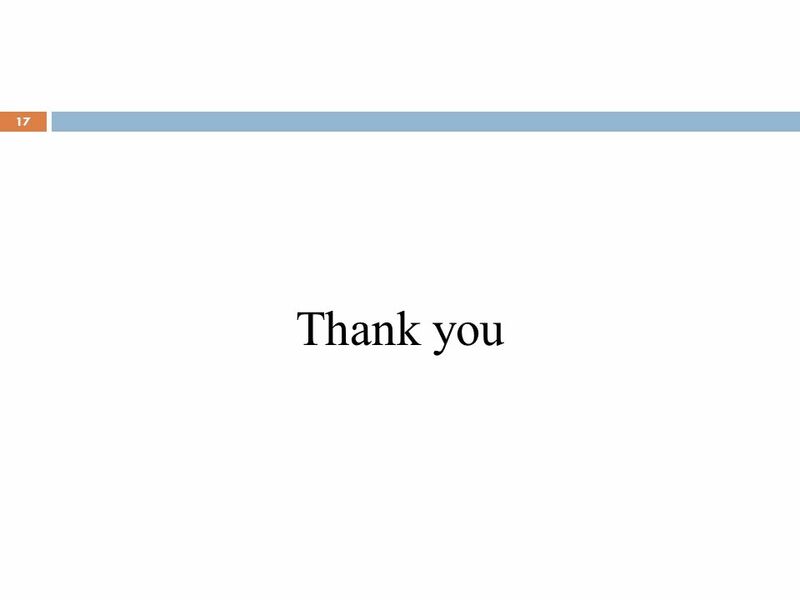 Multimedia Communication © Wolfgang Effelsberg Media Scaling and Media Filtering Definition of. 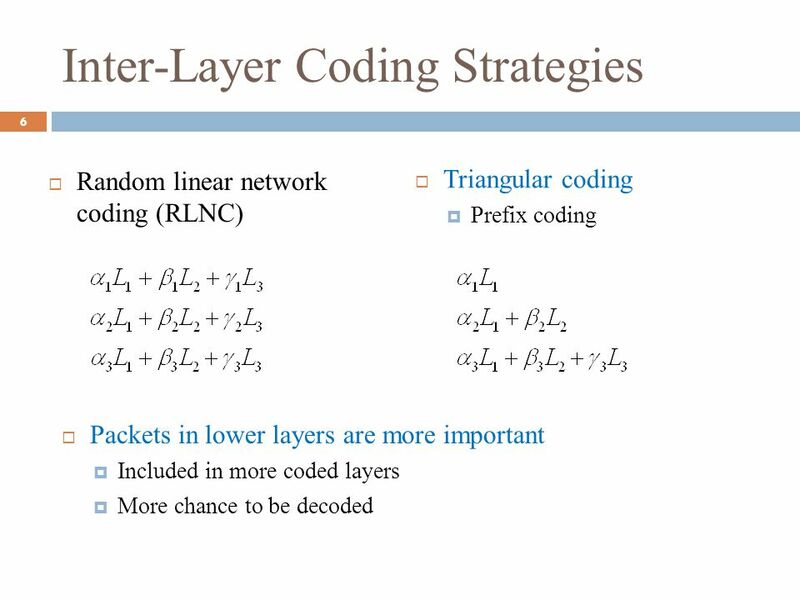 Inter-session Network Coding in wireless network Long Hai 10/02/2012. Presented by Santhi Priya Eda Vinutha Rumale. 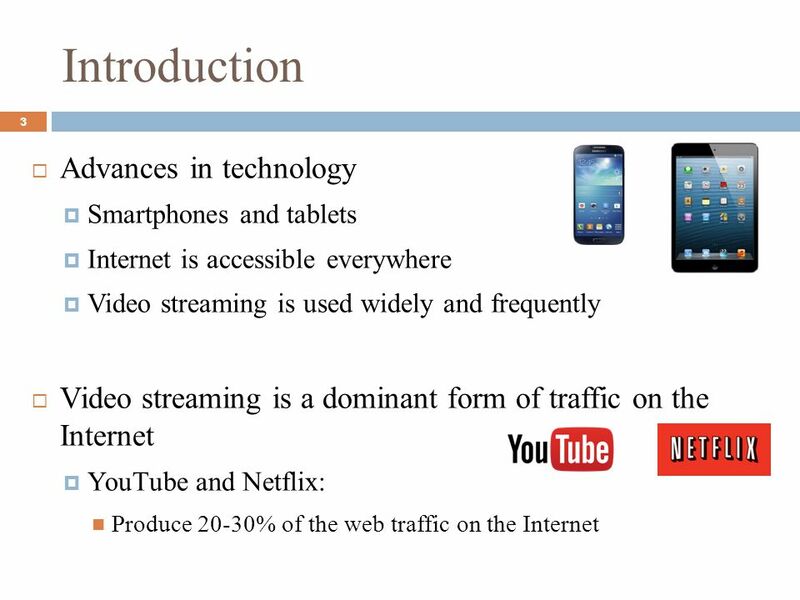  Introduction  Approaches  Video Streaming Traffic Model  QOS in WiMAX  Video Traffic Classification. 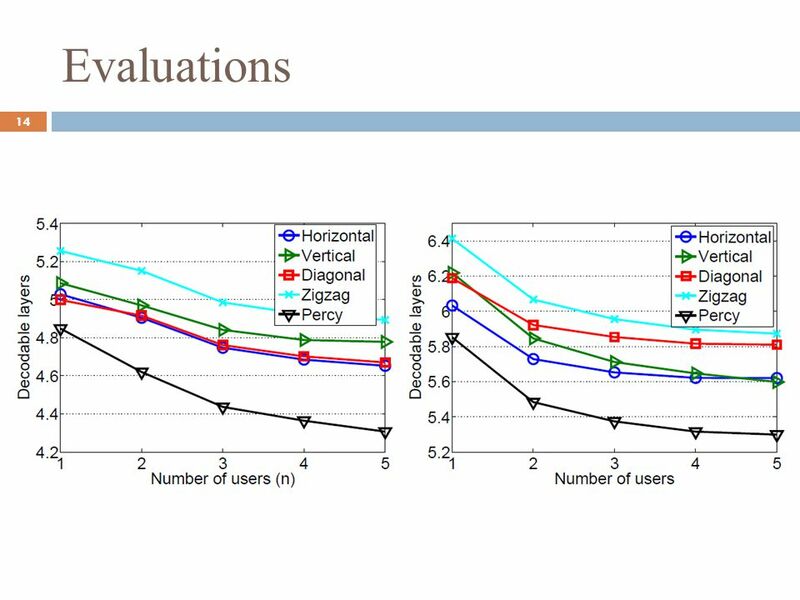 Rate Distortion Optimized Streaming Maryam Hamidirad CMPT 820 Simon Fraser Univerity 1. 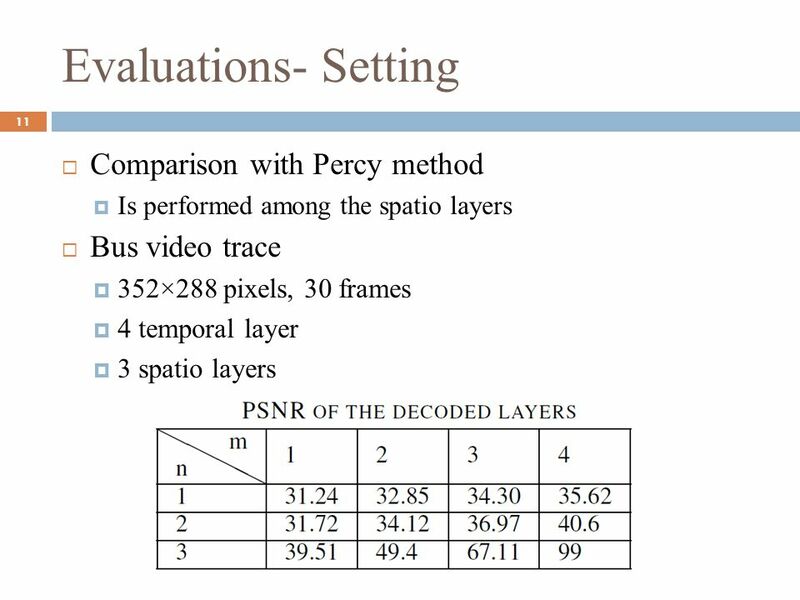 Mohamed Hefeeda Multiplexing of Variable Bitrate Scalable Video for Mobile Broadcast Networks Project Presentation Farid Molazem Cmpt 820 Fall 2010 School. 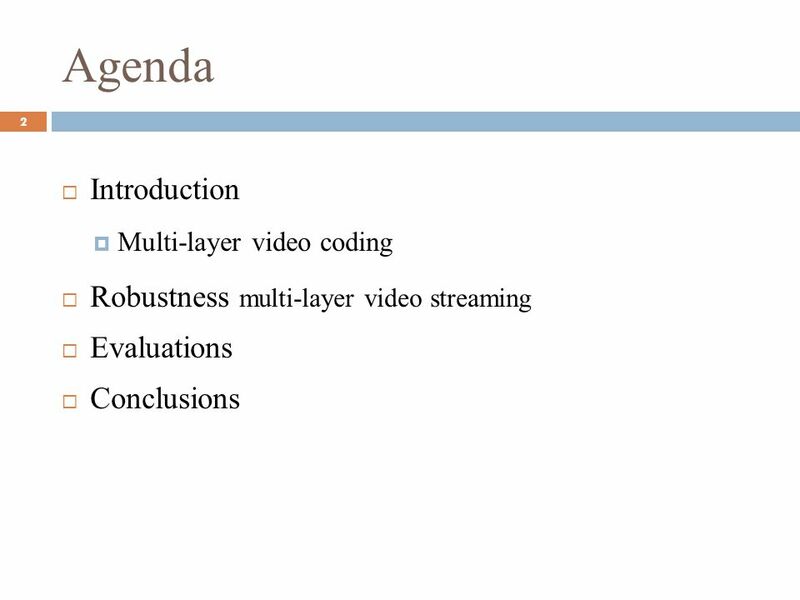 Mohamed Hefeeda 1 School of Computing Science Simon Fraser University, Canada End-to-End Secure Delivery of Scalable Video Streams Mohamed Hefeeda (Joint. 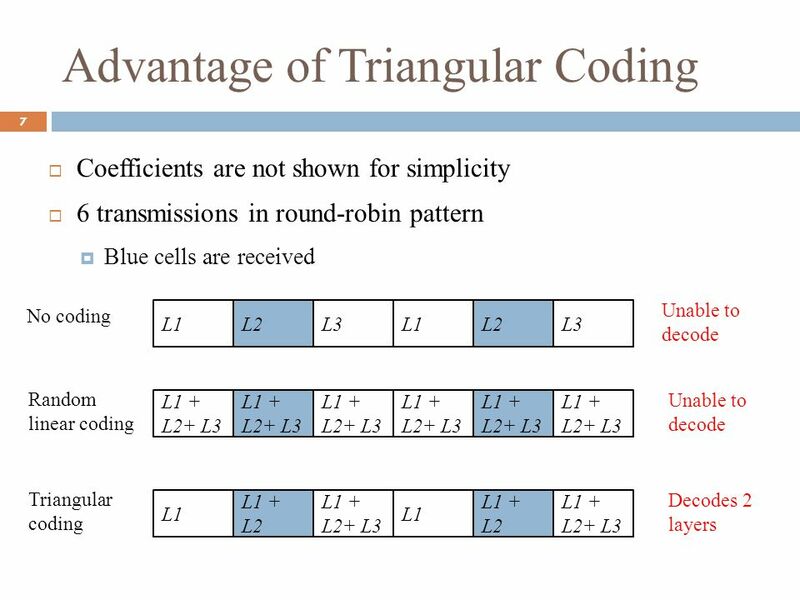 Sang-Chun Han Hwangjun Song Jun Heo International Conference on Intelligent Hiding and Multimedia Signal Processing (IIH-MSP), Feb, /05 Feb 2009. 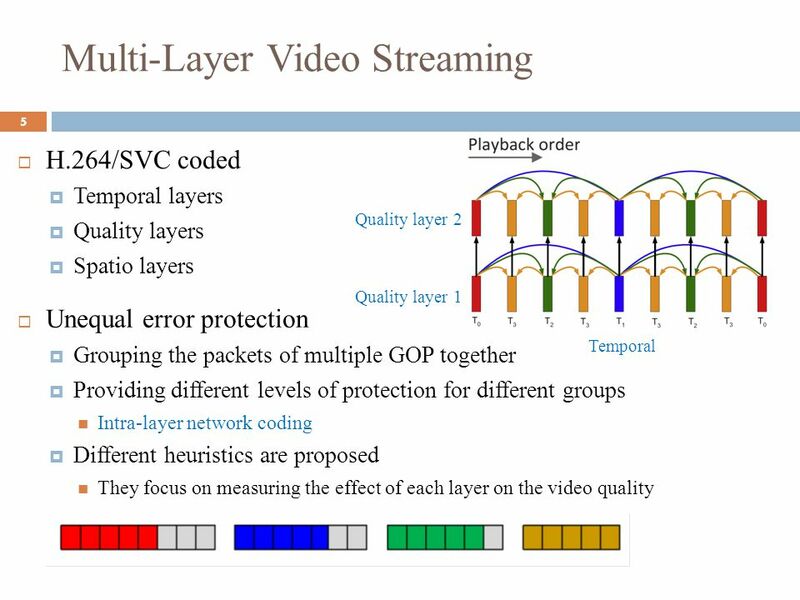 A Comparison of Layering and Stream Replication Video Multicast Schemes Taehyun Kim and Mostafa H. Ammar. 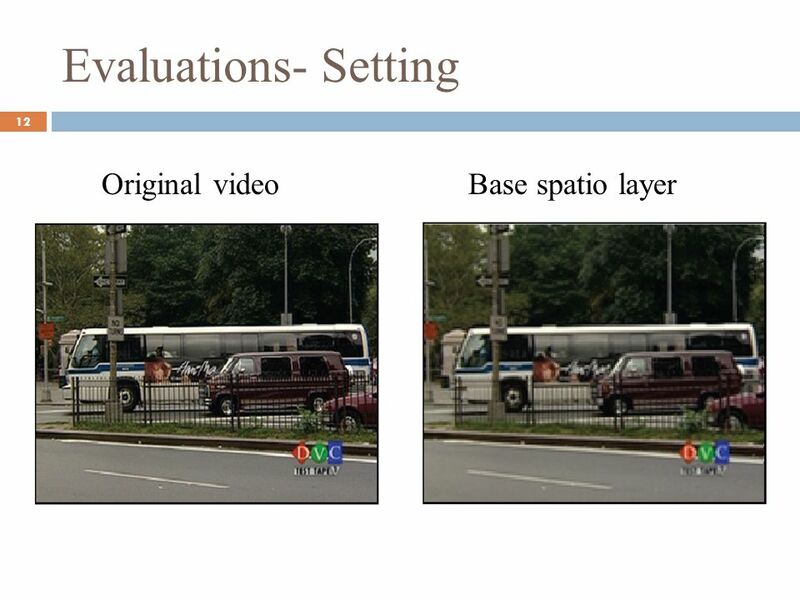 SVC-Based Multisource Streaming for Robust Video Transmission in Mobile Ad-Hoc Networks Thomas Schierl, Karsten Ganger, Cornelius Hellge, and Thomas Wiegand. 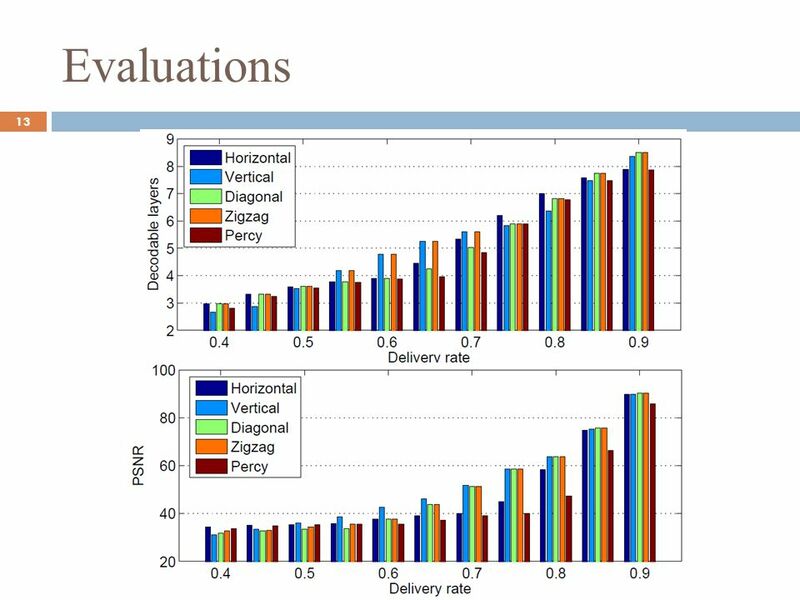 Wireless Network Design for Distributed Control Liu and Goldsmith - Appeared at CDC 2004 Presented by Vinod Namboodiri. 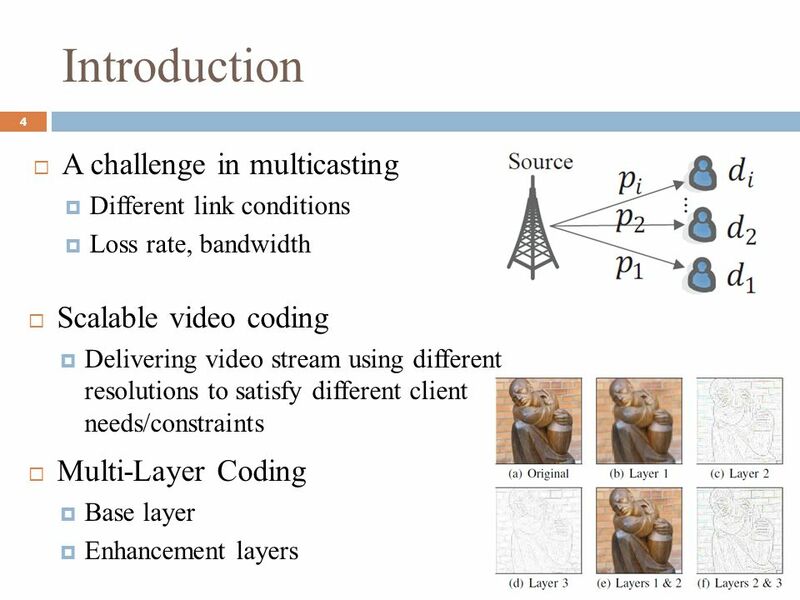 A Layered Hybrid ARQ Scheme for Scalable Video Multicast over Wireless Networks Zhengye Liu, Joint work with Zhenyu Wu. 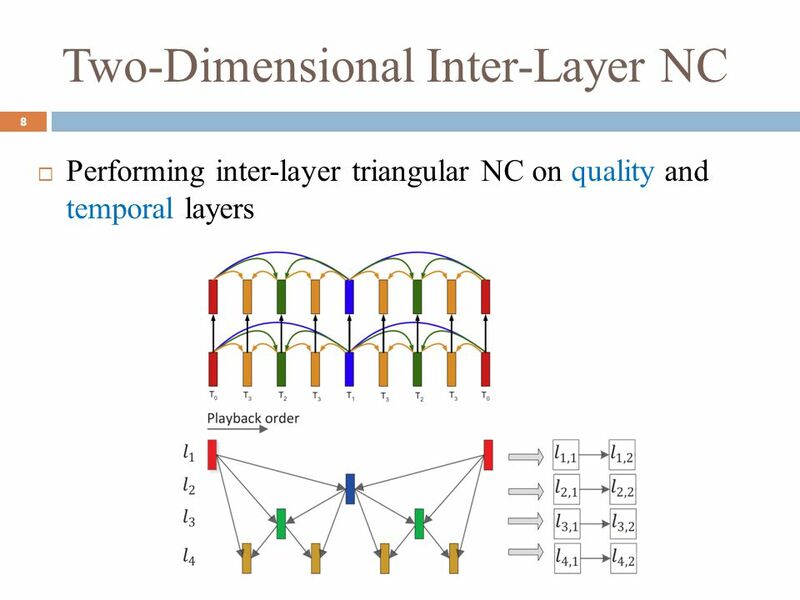 End-to-End TCP-Friendly Streaming Protocol and Bit Allocation for Scalable Video Over Wireless Internet Fan Yang, Qian Zhang, Wenwu Zhu, and Ya-Qin Zhang. 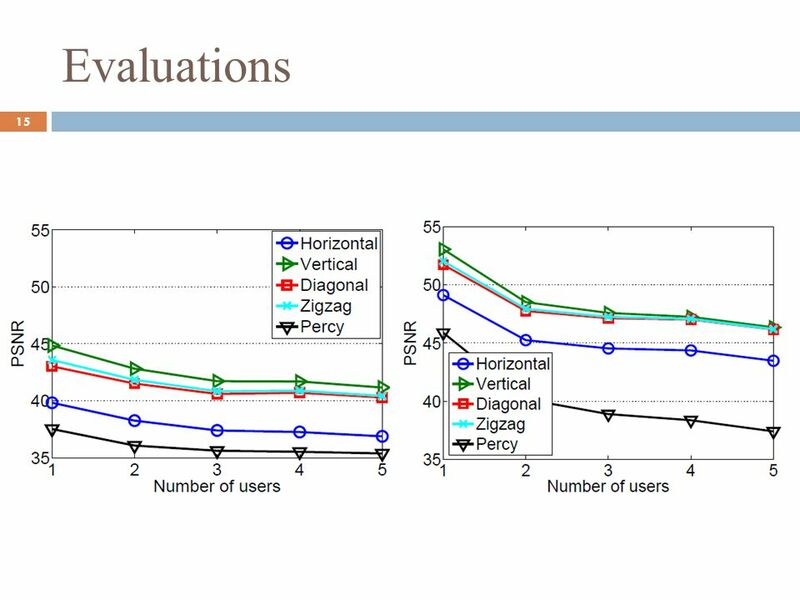 CloudPP: A Novel Cloud-based P2P Live Video Streaming Platform with SVC technology 2012.10.26 Speaker : 吳靖緯 MA0G0101 2012 8th International Conference.